For at least 3000 years, humans have used hot stones, boiling water, and other methods to make fumes or vapors from different plants and substances – think of the hookah pipe or shisha. The first type of electronic cigarette was patented in 1927 by Joseph Robinson. What we think of as a modern vape or e-cig didn’t gain prominence until the early 2000’s in China. “Vaping” or using e-cigarettes has grown in popularity over the last decade. Most recent evidence indicates that 5% of middle school students and 20% of high school students admit to using e-cigarettes in the last 30 days. Kids who vape are 8 times as likely to smoke tobacco as kids who do not. Many adults have turned to these devices as well. Unlike older adults who vape, the majority of younger adults and teens who vape were not cigarette smokers before they began to use e-cigs. Some adults have turned to them as an alternative to smoking tobacco or other products. However, studies indicate that most adults who turn to vaping to help quit smoking cigarettes end up using both products daily. Cigarettes and other forms of smoking have been clearly shown to contribute to cardiovascular diseases like heart attacks and strokes. In addition, smoking can lead to lung diseases like asthma and COPD, as well as being linked to many cancers. 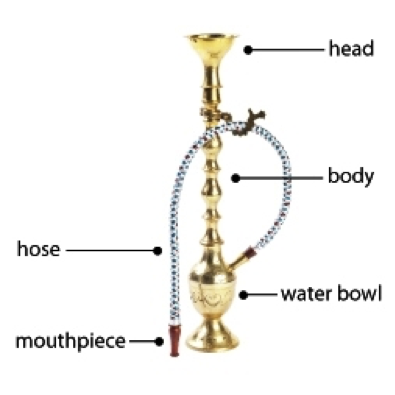 Tobacco smoke contains more than 7000 harmful substances that contribute to these health effects. 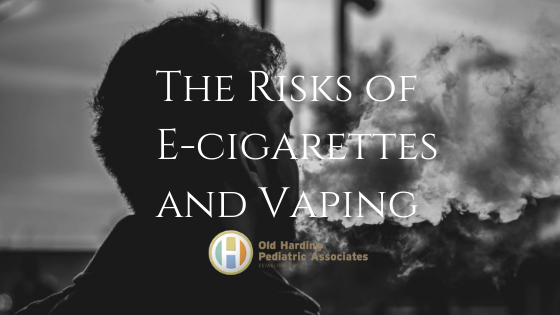 Although e-cigarette vapors contain less of these substances, we have no reason to believe that they are safe enough for children or adults to use. E-cigarette health effects are less well understood as the products are newer than their smoky relatives, the cigar and cigarette. The nicotine contained in tobacco and other products, like e-cigarettes, is highly addictive. Exposure to nicotine from either firsthand use or second hand exposure can harm the brain. This is true for people of all ages, and teens are no exception. Teen are also more likely to become addicted than adults after similar exposures. In addition, when pregnant women choose to vape, they can cause harm to their unborn baby. The other worry about e-cigarettes is that children can ingest toxic levels of nicotine from cartridges left out by parents or other family members. Nicotine overdoses can cause nausea, vomiting, and eye irritation. Recent data shows that vaping may contribute to heart disease and strokes in adults, and chronic cough and asthma in teens. These effects are independent of the effects of nicotine. Parents and other caregivers should also be aware the e-cigarettes can be used to consume marijuana or other harmful substances. For these reasons, we don’t recommend vaping for our patients or their families. E-cigarettes and similar products are currently being regulated by Food and Drug Administration [FDA]. At this time, sale to minors is illegal. FDA has not approved these devices as methods of quitting smoking. If you need help quitting smoking or vaping, call 1-800-QUIT-NOW or go to smokefree.gov. You can also download the QuitSmoking app from your favorite App Store. Feel free to talk to your child’s doctor about any questions you have about substance use or any other concerns.